After a number of years working at magazines in the Spokane area and then in Orange County, Calif., Heather Evans was fed up with false advertising and unrealistic expectations for beauty standards in the media. So much so that she felt like she needed to combat it in a strong and positive way. On Jan. 1, Evans launched HaveHeart Magazine, a publication to prove the media still has heart, and ever since she's been inundated with emails from interested readers looking for opportunities to get involved. Evans says poor body image is an epidemic, that girls are being diagnosed with eating disorders as young as 7 years old — and that has a lot to do with the images they see. The magazine focuses on the beauty and importance of everyday women, and has a strict no-Photoshop policy, never altering a model’s face or body structure. For now, the magazine exists solely online, but Evans is hoping that’s only temporary. And even with the intention to stay national, HaveHeart has carved a readership out for itself with women in places as far as Australia and India. The magazine publishes everything from recipes to DIY projects to personal essays about body acceptance and positivity. 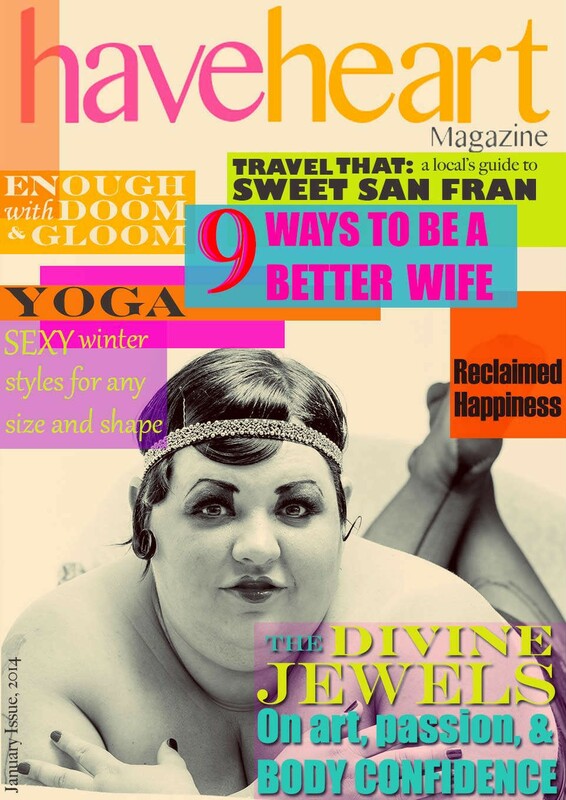 The first cover model was The Divine Jewels, a Spokane performance artist and burlesque dancer who Evans met and worked with when she first moved to Spokane. Evans recognized her as exactly the kind of figure the magazine wanted to showcase. In the upcoming issue, there’ll be a feature on happily married men, “because you just don’t hear about that too often,” Evans says. As it stands, HaveHeart is personally funded through a private source that stands in line with the magazine’s mission. There is no advertising on the magazine’s website yet, but the challenge as Evans foresees it is will be finding major advertisers willing to place ads without photoshopped models. Once the magazine makes it over that hurdle, the plan is to test out a print edition in different markets. Read HaveHeart's first cover story about The Divine Jewels and a personal essay about body acceptance on the magazine's website.